RESULTS IN AS LITTLE AS 48 HOURS. Affordable mold inspections, removal and air quality testing. Visible mold is often the first indication that your home or office has a mold issue. Unfortunately, by the time you see the mold, it has often been growing for some time in the background, undisturbed and undetected. The only way to know its full extent is to perform a more in-depth mold inspection. The objective of our mold inspection service is to identify the size and type of mold present. Once the affected areas have been delineated and the mold is better understood, we can advise you on a mold remediation program and suggest qualified a mold remover. An ACAC certified mold inspector, using specialized testing equipment, will search for moisture without creating any holes in your home. Moisture meters help us identify high moisture levels which may indicate the presence of mold. We then swab-test various areas and do an IAQT (Indoor Air Quality Test). Once laboratory identification is complete, we know what mold(s) we have to deal with. 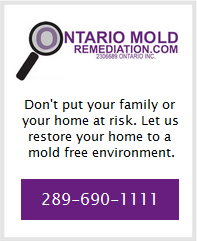 Speak with a mold inspection expert now.